Characters in a horror campaign are often harmed not just physically, but also mentally, and their ability to resist this psychological trauma is represented by a character's stress score. Stress is both a resource that can be harnessed to push a character beyond their normal limits and a measure of how much pressure a character can take before they break. A character's stress score begins at 0 and has a maximum cap equal to 10 + the character's Wisdom modifier. Stress can be gained and lost through multiple means, detailed below. Characters gain stress in the following ways. A character gains stress whenever their mind is strained. Each time a character experiences one of the below events, they gain 1d4 points of stress. Failing a Will save vs. a fear effect. Failing a Will save vs. an enchantment spell of the charm or compulsion subschool. Each time a character takes any amount of Int, Wis, or Cha damage or drain. A character can choose to dig deep into their own resolve to push themselves beyond their normal limits. Gaining a resolve bonus is a free action that modifies a d20 roll, as outlined below. Each time a character uses resolve to gain one of the below benefits, they gain 2 stress. Add a +2 bonus to a d20 roll before the roll is made. Become conscious for 1 round and take one standard or move action while dying. Reroll a failed Will save vs. a fear or horror effect. If the re-roll fails, the character takes 2 stress from the use of this ability and 1 stress from failing the Will save versus the fear effect. If the re-rolled save is successful the character only takes 2 stress from the use of this ability. Stress naturally depletes on its own over time. At the end of 8 hours of rest a character may make a Will save against a DC of 10 + their current total stress. Success reduces the character's total stress by an amount equal to their Wisdom bonus (minimum 1). A character regains a minimum of 1 point of stress, even on a failed save. However, if a character rolls a natural 1 on a Will save to reduce stress, their mind resists attempts to relax and their stress increases by 1. In addition, a character may choose to indulge in a personal hobby or vice to help relieve stress. This can take many forms such as drinking, gambling, painting, prayer, and the like. Players should be free to come up with creative and evocative hobbies or vices that their character indulges in to help blow off stress. Whatever the activity, it cannot be one that otherwise provides a material benefit (such as a day job, magic item crafting, retraining, and so on), the activity must solely be pursued to relieve stress. A character who spends 8 hours of downtime pursuing such an activity automatically recovers an amount of stress equal to 1d6 + their Wisdom bonus (minimum 0). A point of stress is treated as a point of ability drain for the purposes of spells and abilities that cure ability drain. Stress has no mechanical effect on a character until they reach their maximum stress score, but players should be encouraged to roleplay the effects of building stress within the character. Once a character takes their final point of stress, their mind is pushed to its limit and they gain a trauma (see traumas, below). When a character gains a trauma they must succeed at a Will save (DC 10 + the character's total stress) or fall unconscious for 1d4 hours. The character can awaken naturally or be roused by companions as a full-round action after 1 minute has passed. Once a character gains a trauma, their stress score returns to 0. Fear effects are prevalent throughout Pathfinder, from the demoralization effect of the Intimidate skill to a dragon's frightful presence. In a horror campaign, fear comes in many shapes and sizes. While the traditional fear results of shaken, frightened, and panicked may work for a typical Pathfinder game, additional nuance helps create a tense atmosphere for a horror-themed campaign. Pathfinder's Horror Adventures offered a variant fear mechanic that, while robust, can be too much to track at the table. The below system for scaling fear is reminiscent of that system, but should require less overall bookkeeping. Will saves versus fear effects often come from expected sources, such as a spell or other effect. But in a horror campaign, the GM may call for a Will save versus fear in other circumstances, helping to play on the nature of fear. In addition to the normal sources of fear effects in Pathfinder, GMs using this system are encouraged to call for environmentally-based Will saves vs. fear. Environmental triggers for fear come in two forms: dread and shock. Dread is a creeping fear that persists so long as the character is exposed to the source of dream and shock is a sudden burst of fear from an unexpected revelation. Dread is the anticipation of fear, a creeping assumption or observation that something is not right. Sources of dread are encountered much as any environmental hazard would be, in a predetermined location placed by the GM. A character may be exploring an ancient crypt and come upon a scene of dismembered corpses with a dark, wet drag mark trailing off into a lightless corridor and this grisly sight might call for a Save vs. fear. Alternatively, a character at a masquerade ball may succeed at a Perception check and realize that they are in fact surrounded by vampires disguised as living humans. While there is no immediate threat in either circumstance, both are appropriate causes for a Will save versus fear. Dread hazards should be treated like environmental hazards, granted a challenge rating and given experience awards for encountering them. A typical DC for a dread hazard should be commiserate with the source of the dread, as in the dread hazards for a creature like a ghoul should not have a higher CR than the ghoul encounter itself. A good rule of thumb is that the Will save DC for a dread hazard should be roughly 11 + the hazard's CR. Typically, dread hazards should be chained together to create an escalation of fear leading up to an encounter such as a creature or haunt. In the above example of the tomb, the character follows the blood trail only to find a horrifically dismembered corpse (another environmental trigger for a save) and pressing on past this they enter what is clearly the charnel den of a ghoul, though the monster is not present (a third environmental trigger). When a character fails a Will save versus a source of dread, they gain the spooked condition. Each successive time they fail, they gain the next listed cumulative condition. These effects persist as long as the character remains within sight of the triggering area. Each minute after leaving sight of the triggering area the character's dread level is reduced by 1 until they are no longer suffering a dread effect. 2. Shaken: Fear has taken hold of you and you are no longer thinking or acting clearly. As spooked, plus you take a –2 penalty on attack rolls, saving throws, skill checks, and ability checks. 3. Scared: You are noticeably afraid, jumping at shadows and easily panicked by odd sights and unexplained noises. As shaken, and you are staggered. While dread is a slowly simmering backdrop of fear, shock is a sudden an unexpected burst of fright. Shock is a separate level of fear more commonly represented by the typical three fear levels found in Pathfinder. Shock hazards come from a sudden revelation of a terrifying nature. In one of the above examples, a character was following a grisly trail through a dark crypt and encountering dread hazards. When the source of the massacre, a ghoul, finally reveals itself by dropping from the ceiling this is a shock hazard. Shock hazards are like traps, sprung once and not persisting past their initial exposure. While characters can encounter areas of dread multiple times, a shock hazard occurs only once (though its effects may persist). Much like dread hazards, shock hazards have a challenge rating and should be treated like environmental hazards. As a rule of thumb, the DC for a shock hazard should be roughly 11 + the hazard's CR. When a character is exposed to a shock hazard they must make a Will save versus a fear effect. Failure results in the character gaining the first level of shock, listed below. Each subsequent failure of a Will save versus a shock effect increases the character's shock level by 1. These effects last for 1 round per CR of the shock hazard. 1. Scream: You loudly scream and are staggered for 1 round. 2. Fumble: As scream, but you jump in fear and drops whatever you are carrying. Fragile items that are dropped (such as potions) may break. 3. Collapse: As fumble, but you scramble to get away and fall prone. Dread and shock exist together, and levels of shock can feed into another. If a character is already experiencing a level of dread or shock and fails a save versus an opposite hazard, they immediately gain the same level of fear in this new source that they were previously experiencing. For instance, a character with level 2 dread (shaken) is suddenly beset upon by a ghoul lunging from the darkness. She fails her save versus the shock hazard, and starts at the second level of shock, fumble, bypassing scream entirely. Levels of dread and shock do not influence traditional fear effect rules (shaken, frightened, panicked) but the modifiers they impose should help inform characters' reactions accordingly. -2 The character has defeated a similar threat in the last 24 hours. -2 Character possesses equipment or knowledge that has proven effective against this threat. +1 Character has lost more than half of her maximum hit points. +1 Character has failed a horror check in the last 24 hours. +2 A friend or ally is visibly endangered. +2 The character has encountered and been defeated by a similar threat in the last 24 hours. +4 A friend or ally's corpse is nearby. Adventurers in horror campaigns often burn out before they perish. Horror fiction is rife with stories of explorers and heroes waylaid by the emotional toll of their journeys, having been broken by secrets too unknowable or prolonged exposure to nightmarish horrors of unfathomable nature. Trauma represents permanent, life-altering changes to a character caused by repeated exposure to the horrors of an uncaring universe. Characters gain traumas only by reaching their maximum stress score, which can fill from a number of sources. Trauma conditions are permanent. When a character gains a trauma, they acquire both a new personality facet as indicated by the condition as well as a mechanical side-effect. Ultimately, traumas compound upon one-another and may make continuing to pursue adventuring too challenging, if not entirely impossible. Below are sample traumas. When a character gains a trauma, the GM typically assigns a trauma that is most thematically fitting to the traumatizing event the character experienced. In cases where that may not be clear, both the player and GM can work together to determine an appropriate tauma. The character has not only been affected mentally, but physically as well. The stain of this supernatural exposure affects each character differently, but often results in characters becoming withdrawn and mournful of their change. Effect: The afflicted gains a corruption (Pathfinder RPG Horror Adventures). Effect: –2 penalty on Wisdom– and Intelligence-based checks; cannot take 10 or 20 on any such check. 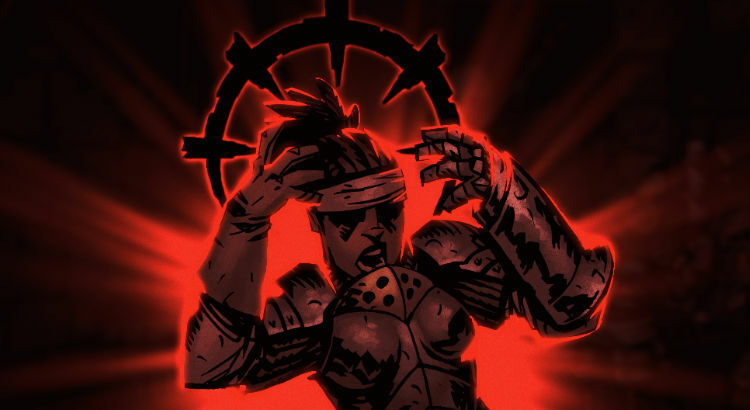 Whenever a character with delirium fails an Intelligence- or Wisdom-based skill check she gains 1 stress. A character who has become detached no longer feels emotion and has become detached from any emotional high or low. They strive to find joy or meaning in things that once brought them joy, but instead find emptiness. Effect: The afflicted is no longer affected by spells with the emotion descriptor and cannot benefit from morale bonuses. A fearful character jumps at the slightest noise and is ready to run or otherwise protect themselves at all costs at a moment's notice. They are unlikely to take risks, but reluctantly going along with a group's plan out of fear of being left alone. Effect: A character with the fearful trauma loses any immunity to fear they may have possessed. In addition they suffer a –2 penalty to all saves vs. fear effects and gain 2 stress on a failed Will save vs. fear instead of 1. A character suffering from a fugue cannot remember things; her name and her past are all equal mysteries. While the character can build new memories, she has trouble accessing those gained before she was inflicted with this trauma. While a character in a fugue state can still speak and read any languages she knows and does not lose any of her skills, feats, or skill ranks, she does not remember how she learned such things, and is often surprised when using complex abilities. Effect: –2 penalty on Will saving throws and skill checks, and some memory loss (see above). Effect: –4 penalty on any Will saving throw against or to disbelieve illusions and is always considered flanked when attacked by an enemy. A mania is an irrational and unhealthy obsession with an object or activity. The GM determines the exact nature of the mania, but it should have some connection to the trauma’s impetus. Effect: Each round when an afflicted character is within 30 feet and can see the object of her mania, she must interact with it immediately or succeed at a Will save (DC 11 + afflicted character's HD). On a failed save the character resists the compulsion but gains 1 stress. Repeated exposure requires additional saving throws. A character suffering from night terrors is plagued by persistent terrifying dreams, worry, or terror that impedes her from getting restful sleep. Often a character suffering from night terrors will bolt upright during sleep, eyes open, and scream, though less-dramatic symptoms are also possible. Effect: Each night when the afflicted character sleeps, she must succeed at a Will saving throw (DC 11 + the character's HD) or wake up fatigued and gains 1 stress. A character who awakens fatigued from night terrors doesn’t count as having had a good night’s rest for the purpose of preparing new spells, and she can’t remove the fatigue until she gets a good night’s rest by succeeding at the Will save against night terrors. Effect: The afflicted character gains a +2 bonus on saving throws against charm effects, but takes a –2 penalty on Bluff, Diplomacy, and Sense Motive checks and may not benefit from the Aid Another action. Additionally, a character suffering from paranoia is shaken whenever they are flanked by two creatures, whether or not the creatures are allies. A phobia is an irrational fear of an object or activity. Nearly any object or activity can become the focus of a phobia, but often the object is either very specific (like all spiders, no matter how big or small, or clowns) or something that could be hazardous in some situations (like heights or water) but could be made relativity safe with magical or mundane precautions. The GM determines the exact nature of the phobia, but it should have some connection to the trauma's impetus. Effect: Each round an afflicted character is within 30 feet and can see the object of her phobia, she must succeed at a Will saving throw or gain one level of dread (see Dread above). Each round of exposure the character may continue to make a Will save and each failed save raises the character's dread level by 1. A successful save renders the character immune to that particular source of phobia for 24 hours. Sometimes the only reaction to the horrors of the world is an irrational refusal to help others and reliance on one's self at all costs and, often times, beyond the point of reason. A character afflicted with selfishness is callous and uncaring, putting herself before others. Effect: A selfish character cannot perform the Aid Another action. If a selfish character chooses to give an ally a consumable item they could conceivably use or cast a beneficial spell on an ally, they must succeed at a Will save (DC 11 + the afflicted character's HD) or gain 1 stress. A shattered character's will is broken by unfathomable forces, leaving them vulnerable against psychic threats. Shattered characters are often scattered, disassociated, and have a hard time focusing. Effect: –4 penalty on Will saves vs. mind-affecting and fear effects. Cannot take a 10 or 20 on Int, Wis, or Cha-based skills. Spirit-wracked characters have had their mind and soul broken by otherworldly entities, often via possession from creatures such as ghosts or evil outsiders. These afflicted are withdrawn and jittery, fearful that one wrong interaction could once again result in their loss of self at the mercy of a possessing force's will. Effect: Must always attempt Will saves versus harmless spells and effects. +2 bonus to Sense Motive checks. –4 penalty to Diplomacy and Will saves vs. fear. Traumas are permanent psychological damage and as such are remarkably difficult to heal. Even with the aid of magic, each individual trauma is treated as a permanent negative level with regards to spells and effects that can remove them (therefore requiring the expensive material component version of restoration, etc). The spell psychic surgery can remove one trauma per casting. Without the aid of magic, traumas can only be removed with the help of a healer and considerable investment of time and patience. The recovering character must meet with that person regularly (at least 8 hours each day) for one month. At the end of the rest period, the ally can attempt a Heal check against a DC equal to 15 + the afflicted character's hit dice. Success means that the trauma has been diminished and becomes dormant. The afflicted character experiences none of the effects of the trauma while it is dormant. However, if the character gains any stress during this time she must succeed at a Will save (DC 11 + the afflicted character's HD) or relapse and have the dormant affliction return. While the affliction is dormant a trauma may be cured by a second round of treatment by a healer, with the same specifications above, except the trauma is cured at the end rather than rendered dormant. Even such extreme measures are not foolproof, however. If the cured character ever reaches maximum stress again they not only gain a new trauma, but regain one previously cured trauma as well. The following additional rules support this variant horror system. You are strong of will and can resist what would make others break. Benefit: Your maximum stress score increases by 3. Your sense of self anchors your mind and helps you resist stress. Benefit: You use your Charisma score to determine your maximum stress rather than your Wisdom score. You know how to throw yourself into personal endeavors to mitigate your stress. Requirement: Craft or Profession 1 rank. Benefit: You can use a Craft or Profession skill check to earn money or create an item to qualify as a hobby or vice to satisfy requirements for stress recovery. Normal: You may not make a material benefit from your hobby or vice when recovering stress. I am no longer sure where you're getting your information, however great topic. I must spend some time finding out much more or understanding more. Thank you for fantastic information I used to be on the lookout for this info for my mission.